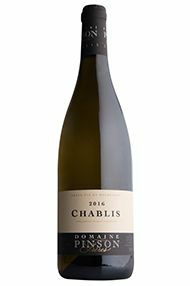 One of the most famous wine names in the world, Chablis has suffered from numerous imitators. Fifty years ago it comprise just 400ha of vineyards but today there are 4,900ha. 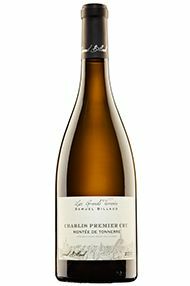 Being further north than the rest of Burgundy the wines are subtly different in style, a touch more austere with a beautiful fresh minerality. Forty vineyards are classified Premier Cru, while the seven Grands Crus overlook the town of Chablis and the River Serein. This comes from two plots – Chapelot and the 90-year- old Cartes – this year, rather than the usual three, as the Pargues was hailed completely. 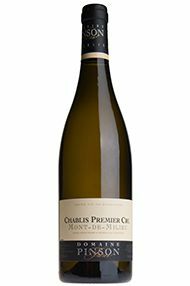 This is very classic Chablis on the nose, while the palate has gorgeous concentration and purity, with a saline, marine finish. Punches above the weight of a normal village wine. Drink 2020-2024. 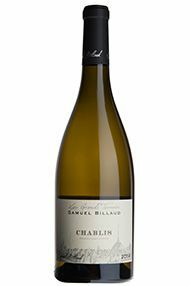 The brilliantly talented Samuel Billaud was finding family politics hard going, so he founded his own wine label in Chablis separate from Domaine Billaud-Simon. However with the sale of Domaine Billaud- Simon to Faiveley in 2014, Samuel has got back a proportion of the vineyards for himself. Whether from domaine sources or purchased grapes, Samuel Billaud’s wines demonstrate his exceptional talent. Samuel feels that 2016 is very close in style to the outstanding 2014 vintage, and says that the concentrating effect of hail and frost early in the season, along with the cool ripening period has given a good balance of matière and acidity. This is a very promising set of wines which will gain in weight and complexity with élevage . 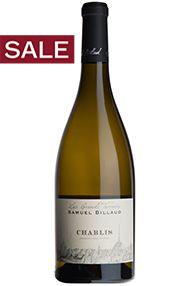 Samuel is undoubtedly making some of the finest wines in Chablis. Sébastien feels that the Côte de Léchet is the most serious of all his wines, and the one with the most ageing potential, and it is hard to disagree. There is a lovely marine quality to the nose, tangy and saline. On the front of the palate, there is a surprising weight of fruit before everything tightens up and the limestone character kicks in. Concentrated and pure, this crackles with energy. Drink 2020-2025. 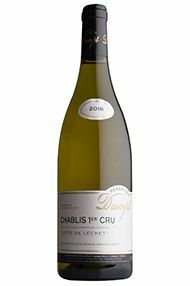 The Dampt family has been making wine for more than 150 years in Chablis. Having studied viticulture in Beaune, young Sébastien worked in Sancerre, Nuits-St Georges and Australia to broaden his experience before returning to the family domaine, Daniel Dampt, in 2005 to work alongside his father and brother. In 2007, he took back seven hectares under his own name. The domaine is situated in Milly, to the west of Chablis, and 50 percent of the holdings are Premier Cru. The wines are largely vinified and raised in stainless steel and concrete, the aim being to produce a linear and classic interpretation of Chablis. Sébastien explained that 2016 has a certain richness from the low yields, thanks to frost, hail and subsequent mildew. 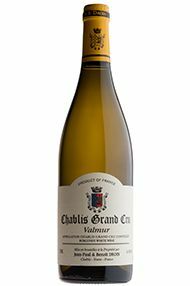 Thankfully the perfect summer and ripening season meant that quality is exceptional, with wonderful balance and classically pure Chablis characteristics. While Sébastien makes a range of Premiers Crus, we have chosen to focus our offer on his excellent Côte de Léchet; an historic family parcel located just a stone’s throw from the cellars. 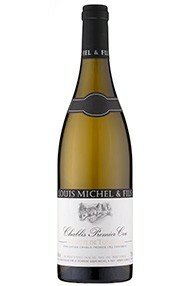 There is a lovely classic Chablis nose of crushed oyster shell and lemon fruit. The palate is tangy, with a surprising structure and grip, while remaining fine and elegant. The old vines suffer from court-noué, giving lots of very small grapes which results in plenty of concentration and phenolic grip. 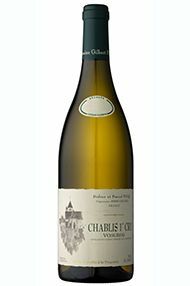 Lemony and saline, this is textbook Chablis with a punch. Drink 2020-2026. The 2017 vintage saw the domaine light candles in the vineyards for six successive nights at the end of April to raise temperatures and keep the frost at bay. While some unprotected parcels were badly hit, the Côte de Léchet survived relatively unscathed and the warm, dry season that followed has produced a wine with a freshness that reminds Sébastien of the outstanding 2014 vintage. 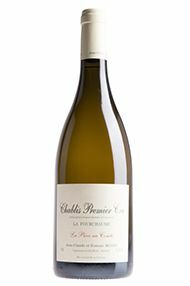 His Côte de Léchet offers exceptional value for money for those who enjoy a classic, steely expression of Chablis. Old vines from Les Cartes vineyard give the flesh, while Pargues and Chatelots offer dynamic tension with a great core of energy. 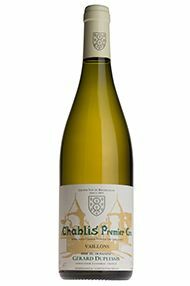 Pale primrose in colour, with a truly beautiful nose, classical yet full of fruit, this is crystalline, pure, delicious Chablis, with a lovely dancing finish. Though the viticulture predates the return of his vineyards, Samuel got into his own vines just before the harvest and has thus been able to vinify a larger range than before. So when we visited he was much happier all round, especially with an excellent 2014 harvest in his cellar: healthy grapes and correct yields between 40hl/ha for Grand Cru and 55hl/ha for Chablis. From 60-year-old vines, the nose offers citrus and floral notes. After the initial zesty kick, this becomes more expansive on the mid-palate, tightening up again with an unerring finish of chalk, lemon and salinity. Drink 2020-2026. The frost meant that there are only three barrels of this in 2016, as opposed to the usual five. As ever with Vaillons, there is a good level of richness – Laurent describes it as “gourmand” – but underpinned by tension and nervosity. A chalky texture provides a cleansing freshness to the finish, along with a touch of spicy oak which will integrate further with time in bottle. Mont-de-Milieu is the Pinson family’s largest holding of the Premiers Crus and consequently something of a flagship wine. The nose shows a little of its oak élevage at present, along with subtle wafts of noble reduction. There is a wonderful concentration of fruit, beautifully intertwined with cool, marine notes. A harmonious wine with great finesse and elegance. Drink 2020-2026. 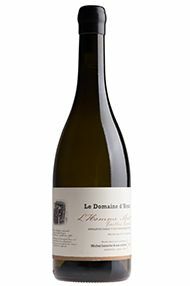 The domaine has been making this wine since the 2015 vintage, but it has come into its own in 2017. The nose offers austere notes of grass, citrus fruit and some flint. 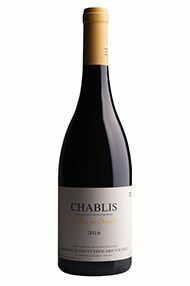 The palate is, however, richer with more generosity and mid-palate breadth, culminating in a pleasing bitterness on the finish. Drink 2020-2025. Michel’s daughter Margaux is taking a more active role in both the cellar and vineyard. She explained that they have been reducing sulphur levels during the winemaking process, believing that this allows the terroir to express itself better. They also no longer fine or filter the wines, the goal being to preserve as much flavour as possible in the final bottle. Yields are down by 50 percent overall, their aspersion system in Fourchaume rescuing them from the worst of the frost. 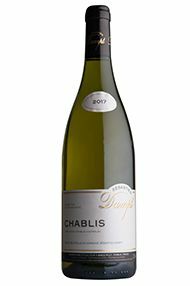 Margaux feels 2017 is a classic Chablis vintage, with freshness and minerality. This is much more exotic, but in a very good way. The wine has real nervous tension along with Montée de Tonnerre’s natural opulence. There’s a touch of spice here, excellent acidity, a fine thread of concentrated yellow plum fruit and a little bit of orange blossom. Complex and interesting. Drink 2018-2024. Quantity is a bit of a problem this year as the Michels suffered hail in 22 of their 25 hectares. Fortunately most of the Grands Crus were spared, but they have very little Chablis or Premier Cru. Guillaume Michel brought in most of the crop in three and a half days, so there was no deterioration of the grapes from the areas which suffered. The grapes were in fact ripe to perfection and, as with last year, this is an impressive range of wines. This blends the 1937-planted Ardillier fruit, along with L’Homme Mort and Fourchaume, with around a quarter raised in oak. The concentration of the reduced yield shines through, yet does not make the wine unbalanced. It is powerful, with a creamy, supple texture, and a simmering undercurrent of energetic minerals. Incredible persistence. Drink 2021-2026. Having stepped down from the company which bears his name, Michel Laroche has, along with his daughters, launched a small domaine based on their family vineyards, named after Michel’s father Henri. Their principal holdings are in Premier Cru Fourchaume, especially a Vieilles Vignes cuvée from 47-year-old vines in L’Homme Mort and an Héritage cuvée, which comes from the oldest parcel (planted in 1937) in the lieu-dit of l’Ardillier. At an average of just 13hl/ha, Michel Laroche described this as the worst vintage – in volume terms – that he has seen in 50 years. Fourchaume, where the family has the vast majority of its Premier Cru holdings, was particularly badly hit by both frost and hail. As a result, they have made a single “super-cuvée” of Fourchaume, including the estate’s oldest vines. From vines approaching 50 years of age, 25 percent of the wine is fermented and raised in older oak barrels. Extraordinarily fine and restrained for arguably Chablis’s most exuberant Premier Cru, this is an intense, precise wine with real focus. 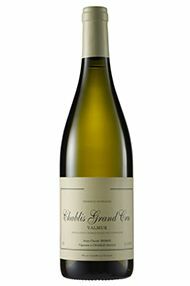 Lots of fine mineral notes wrapped up in viscous citrus fruit give a wonderful, textured finish. Drink 2022-2028. After a hiatus in 2015, we are pleased to welcome this back to the range. Raised entirely in stainless steel to preserve the freshness of this south-facing vineyard, this is the most open of the Premiers Crus. The warmth of the exposition shines through with pleasant yellow fruit notes, while the steep, stony slope contributes a chalkiness to the finish. Very transparent. Drink 2020-2025. This cuvée comes from a 1.6-hectare plot of vines which suffer from Cournouaille virus and consequently always produce very small yields. The aromatic palette here is built upon citrus fruit, with invigorating notes of zesty lemon and lime. 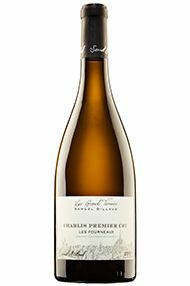 In the mouth the character is one of sizzling freshness, but remarkably open and without austerity – restrained rather than powerful, but with incredible length. The subsoil here is Kimmeridgian with very shallow topsoil, and the mineral thread which runs through the wine speaks clearly of this. Twenty percent went into barrel and 80 percent into tank, coming from a mix of plots ranging from 30 to 80 years old. Harvested at around 25hl/ha, it’s no surprise that there is great concentration and intensity. Floral and subtle with the austerity of youth, this will fill out with élevage and blossom into a fine Mont de Milieu. Drink 2021-2026. A wine which draws you in from the first whiff of oyster shell, there is a wonderful concentration of yellow fruit here, with plenty of power and energy. It is dense and weighty but not remotely heavy, thanks to the fine core of acidity. Drink 2020-2026. This domaine, based in the heart of Chablis, dates back to 1850. Prior to 1970 all the wines were fermented and matured in old oak barrels; by 1980 the old oak had been thrown out and the domaine had switched entirely to stainless steel. Today, it is run by Guillaume Gicqueteau-Michel and comprises 25 hectares of vineyards, mainly Premier and Grand Cru. 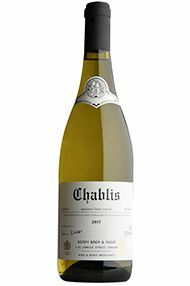 It remains the byword for unoaked Chablis. Once again quantities are very small this year; in fact, 2016 is the smallest vintage Guillaume has ever made. 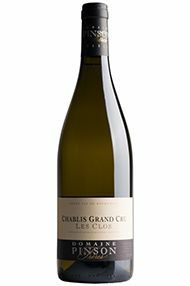 As a longstanding customer, we have been looked after, however, with only the Clos and Grenouilles significantly down on 2015 volumes. 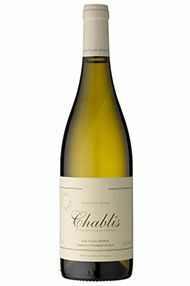 Guillaume feels that this is a classic vintage for Chablis, and one which allows each individual terroir to shine through clearly. Despite the challenges of the vintage, this is an excellent range of wines which display great typicity. This comes from two plots – Chapelot and the 90-yearold Cartes – this year, rather than the usual three, as the Pargues was hailed completely. 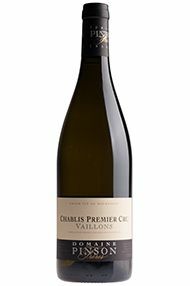 This is very classic Chablis on the nose, while the palate has gorgeous concentration and purity, with a saline, marine finish. Punches above the weight of a normal village wine. Drink 2020-2024. 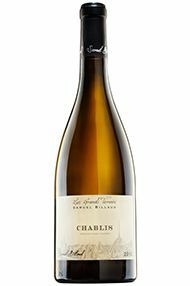 The brilliantly talented Samuel Billaud was finding family politics hard going, so he founded his own wine label in Chablis separate from Domaine Billaud-Simon. However with the sale of Domaine BillaudSimon to Faiveley in 2014, Samuel has got back a proportion of the vineyards for himself. Whether from domaine sources or purchased grapes, Samuel Billaud’s wines demonstrate his exceptional talent. Samuel feels that 2016 is very close in style to the outstanding 2014 vintage, and says that the concentrating effect of hail and frost early in the season, along with the cool ripening period has given a good balance of matière and acidity. This is a very promising set of wines which will gain in weight and complexity with élevage. 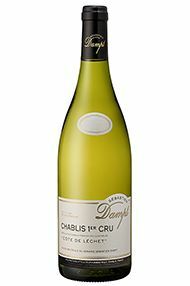 Samuel is undoubtedly making some of the finest wines in Chablis. From two parcels between 30 and 45 years old, 20 percent was raised in 450-litre oak barrels. It has a lovely, crystalline, lemon nose with a breezy seashell lift. The palate has greater sucrosity and riper peach fruit, along with an alluring creamy, leesy finish. Drink 2021-2026. With 40 percent barrel-fermented, toasty almond and noisette notes intertwine harmoniously with subtle stone-fruit aromas. An elegant wine which is easy to admire and has an effortless, almost regal finesse and class. Drink 2021-2030. The Droins have been producing wines in Chablis for nearly 400 years (their history as vignerons goes back at least to 1620). Benoît represents the 14th generation, having taken over from his father Jean-Paul. The domaine owns 13 hectares of vineyards and produces 14 different wines, including seven Premiers Crus and five Grands Crus. Benoît runs a sophisticated operation from a large modern winery almost in the shadow of the Grands Crus. He has revised his pruning system and significantly reduced yields; while in the cellar the principal change has been away from new oak. Visiting Benoît Droin in spring 2017 was a sobering affair; row upon row of stainless steel tanks stood empty, their doors hanging open as a stark reminder of the damage caused by the frost and twin hailstorms of the nightmarish 2016 vintage. Despite making just half his normal crop, Benoît remained philosophical and announced himself delighted with the vintage, explaining that he feels there is greater concentration and better balance than the sunnier 2015s. Unfortunately, there is no Fourchaume this year. Forty percent barrel-fermented, this is a powerful wine, with bundles of energy under the glossy and sunny veneer. There is substantial concentration and complexity thanks to subtly spicy, gunflint notes. A wine with great promise, but which demands patience. Drink 2021-2030. The slight opulence of the stone fruit and spice aromas almost gives the false impression of oak. This is currently somewhat backward, with an abundance of apricot and spice which is presently disassociated from the fine thread of steely minerality. All of the necessary elements are there to make a fine Vaudésir, and this will reward those with the patience to wait for it to knit together. Drink 2022-2028.